Passito black olives are prepared according to a recipe typical of the Mediterranean tradition. 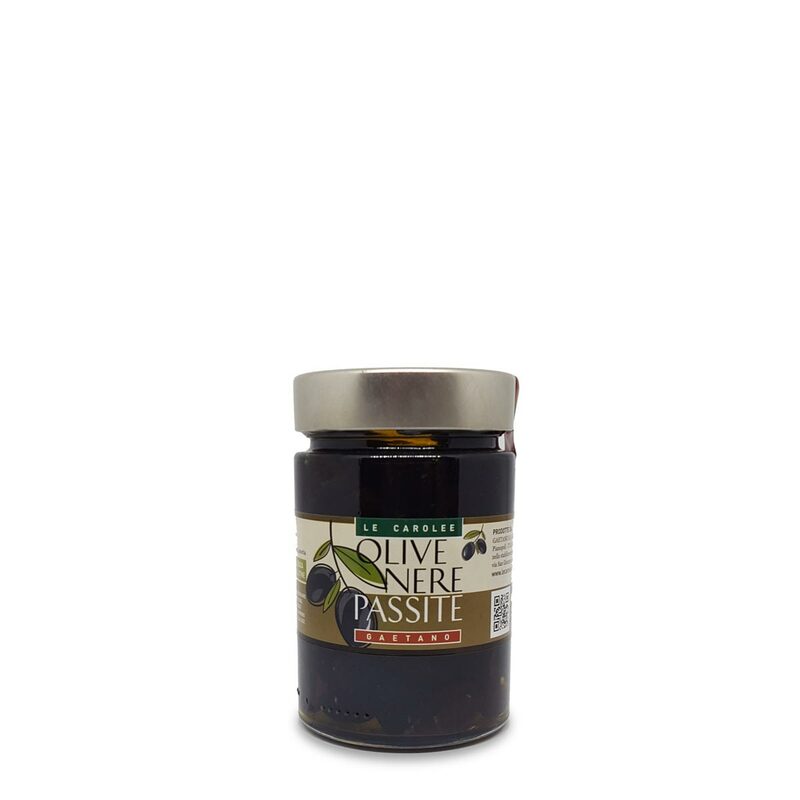 Harvested only when they reach full maturity, the black olives are dried in the sun and then preserved in salt. They are used to get a tasty aperitif, appetizer or even to enrich a dish of pasta or cod stewed. The dried black olives, prepared according to a typical recipe of the Mediterranean tradition.